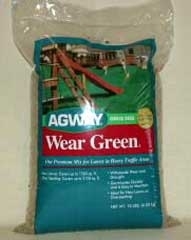 Agway Wear Green is a blend of improved, turf type tall fescue with 10% turf type perennial ryegrass and 5% Kentucky bluegrass that looks good and tolerates wear, drought, poor soils, and low maintenance. It will grow well in full sun to medium shade. One 25 lb. bag seeds 3,900 square feet for new lawns and 7,800 square feet for over seeding. 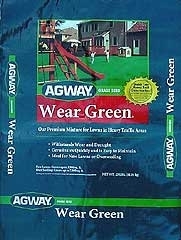 Agway Wear Green is a blend of improved, turf type tall fescue with 10% turf type perennial ryegrass and 5% Kentucky bluegrass that looks good and tolerates wear, drought, poor soils, and low maintenance. It will grow well in full sun to medium shade. One 3 lb. 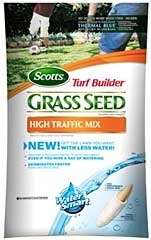 bag seeds 470 square feet for new lawns and 940 square feet for over seeding.